North Kolkata has been the seat of Bengal’s aristocracy. The city of Kolkata started growing from the banks of Ganges to later spread across areas which are known today as Bagbazar, Ahiritola, Sutanuti and Shyambazar among other areas. A favorite place for the feudal lords and also witness to social development, North Kolkata is today the gold mine for history enthusiasts and construction companies alike. Real estate has been on a rise for a long time in North Kolkata. Flats in North Kolkata have been in demand ever since the joint families started breaking up. Palatial estates started getting deserted with time and thus a sea of opportunities opened in front of real estate developers to turn them into housing estates targeting a population of modern day home seekers who wanted to be happy in nuclear families staying close to their roots. Much scope was there in terms of the disputed property also, all of which together changed the class and character of North Kolkata from a hub of the landed gentry to a happening hometown of different socio-economic groups comprised of entrepreneurs and office goers alike. 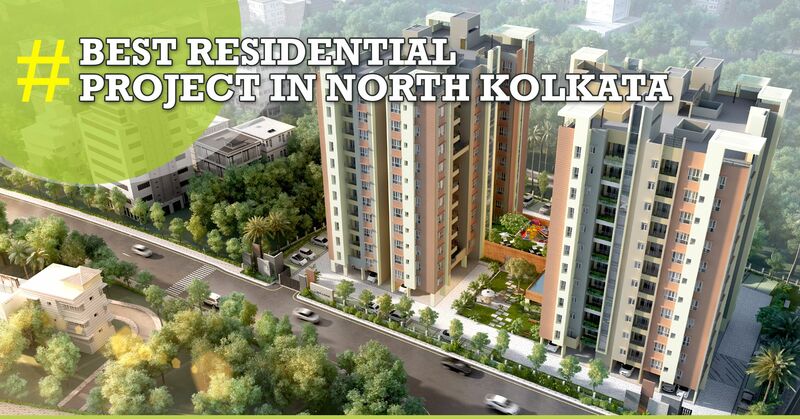 Hence the proliferation of residential projects in North Kolkata. StarOm Millenia is one such housing venture by one of the top real estate developers in Kolkata, StarOm Realty. 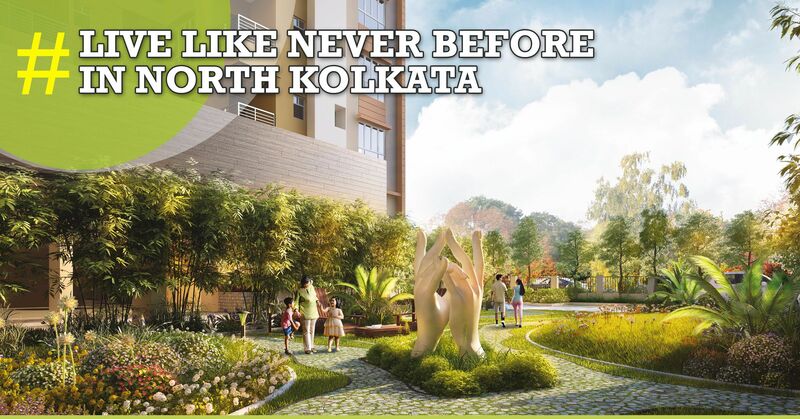 Situated on BT road, one of the lifelines of North Kolkata, connecting Shyambazar to Barrackpore, it is one of the premium apartments in North Kolkata in terms of location and amenities providing 2-3 BHK flats ranging from 856 to 1184 sqft. The key advantages of StarOm Millenia as par its location on the prestigious the Barrackpore Trunk Road popularly called the BT road are as follows. Transport: The housing is in closest proximity with Dunlop Crossing, Rathtala Crossing, Ariadaha Ferry Ghat, Agarpara Railway Station, Belgharia Railway Station, Dumdum Metro and Railway Station and Shyambazaar Metro Station. The Kolkata airport is all of 11 minutes via the Belgharia expressway. The upcoming Baranagar Metro Station is also in close vicinity. Education: Some of the most prestigious names in the field of education are here near to StarOm Millenia. Some of them are the Adamas International School, Ashokgarh High School, Central Modern School, Ananda Ashram Sarada Vidyapith, Hiralal Women’s College, Bhairav Ganguly College and Brahmananda Keshab Chandra College. Medical Help: Midland Nursing Home and Sagar Dutta Medical College and Hospital are the two well-known medical institutes here. Miscellaneous: Belgharia Post Office is near to StarOm Millenia. Well known retail joints like Sriniketan, Spencer’s, Reebok Showroom along with refreshment centers like Café Coffee Day etc are also very close by. An added attraction is the historical Dakshineshwar Kali Temple at a distance near Barranagar. The amenities provided are as follows. Kid’s play area – to provide children with their much-cherished childhood. AC gymnasium – for staying fit with comfort. Landscaped garden – for a touch of nature. Swimming Pool – for better relaxation. AC indoor games room – for those who unwind indoors. Badminton court – for the lover of outdoor sports. CCTV surveillance with 24/7 Security – for constant supervision and safety. Adequate Car Parking – to avoid traffic pandemonium. Intercom facilities – for easy inter apartment communication. WIFI Ready – to enable constant internet and communication. Considering all factors StarOm Millenia is undoubtedly one of the Best Residential Projects In North Kolkata.